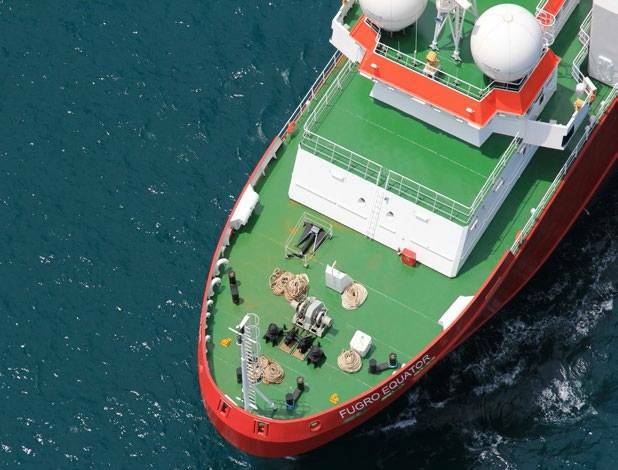 A survey ship from Dutch engineering company Fugro , carrying 40 crew and technicians, began mapping out an area larger than the Netherlands, some 1000 miles (1,600 km) east of the northwest coast of Australia. The search for the lost plane is being coordinated by the Australian Transportation Safety Board and is expected to cost 60 million Australian dollars ($56 million) over the first year. "It's a rough area," Rob Luijnenburg, strategy director at Fugro, which usually conducts surveys for oil and telecommunications companies, said in an interview on Thursday. Once an accurate map has been constructed with the aid of computers on board the ship, searchers can begin more detailed, slower surveys in a bid to find the wreck itself, using unmanned robots and submarines to search the ocean floor. Flight MH370, carrying 239 crew and passengers, mostly Chinese, disappeared from radar screens on March 8 shortly after taking off from Kuala Lumpur bound for Beijing. Investigators say what little evidence they have to work with, including the loss of communications, suggests the Boeing 777 was deliberately diverted thousands of kilometres from its scheduled route. The area being mapped is largely uncharted, Luijnenburg said, since the area's remoteness and depth at 6,000 metres placed it beyond the reach of the oil industry, which is still pushing down to depths approaching 3,000 metres. 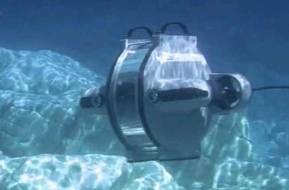 With a long maritime history and seafaring expertise, Dutch companies are leaders in the field of complex, large-scale undersea search and salvage operations. Wrecks on which Dutch companies have worked include the raising of the Russian nuclear submarine Kursk, which sank in the depths of the Barents Sea in 2000 with the loss of all on board. More recently, Dutch firms were contracted to help salvage the Costa Concordia cruise liner, which sank off the coast of Italy in 2012. Fugro's ship will use an echo sounder for the topographic mapping stage, building up a relatively low-resolution picture of the entire area as quickly as possible, its crew staying at sea for a month at a time. "It's extremely unlikely that we will be able to pick up something the size of an aircraft and make it out to be that at this stage," Luijnenburg said. Built in 2012, the vessel is one of four Fugro commissioned that is custom-built for undersea surveying, designed to be quiet and not interfere with the sensitive sonar mapping systems, which measure echoes bounced off the sea floor. What little is known of the topography of the area comes from satellite imaging and from surveys made in the past by ships that happened to be crossing the area with sonar turned on, he said. Data gathered earlier is inaccurate, because most of it was collected without the help of satellite positioning.